Why I like it? 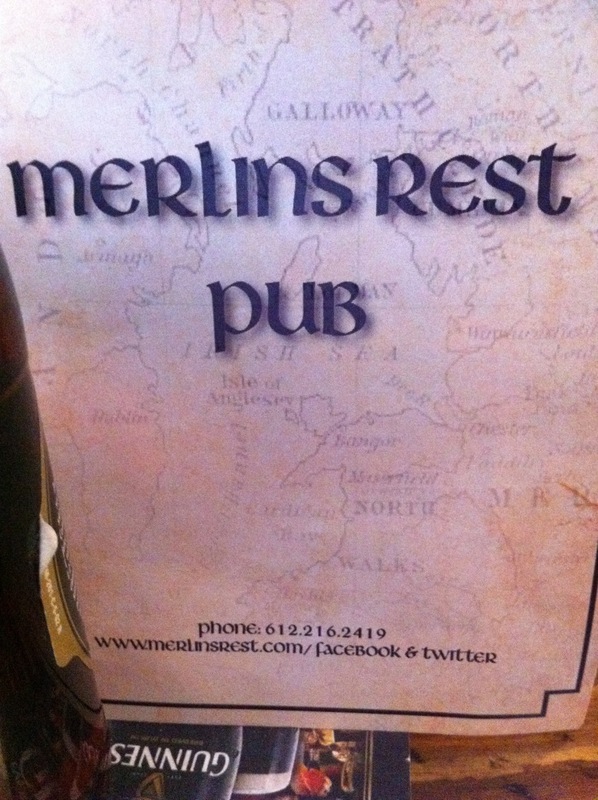 An unobstrusive plug to be social and find them on Facebook and on Twitter @Merlinsrest. Besides I’ve always loved their name. It’s ambiguous and reflective of many things depending on your mood. Don’t be Afraid of Guinness because it’s Dark. Ease into it and mix it with something light, like a Lager or Cider. I love Guinness, straight or mixed, but some people might need that little push to give it a try. 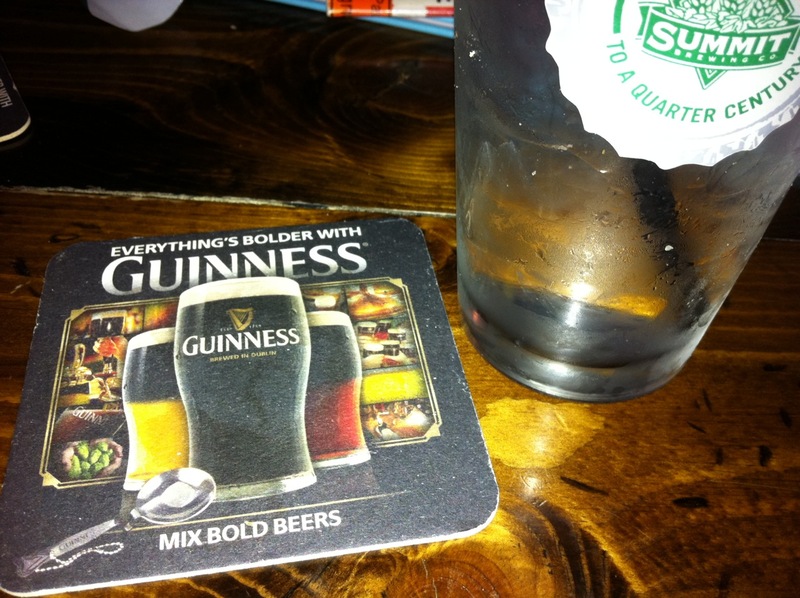 There’s nothing on the official Guinness site about mixing it. Why do YOU think it’s missing? Last, but not least, I went to Big Top Liquors for a party. 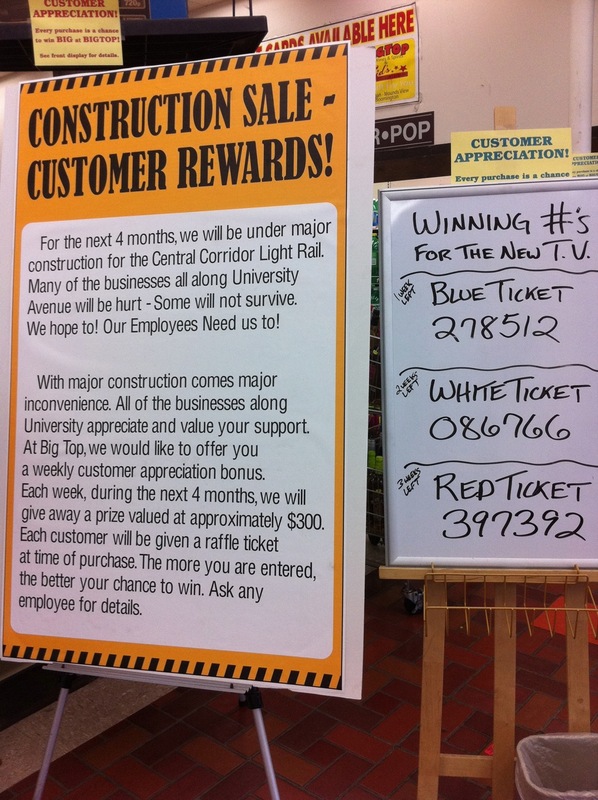 The first think you see walking in the store or on their website is their Central Corridor Light Rail customer loyalty program. With every purchase you get a ticket stub that might win you a flat screen TV. In this ‘hood, I’m thinking the Flat Screen per Household ratio is bit lower than say in Minnetonka where they also have a store.